This is officially my first post to this blog, Doodling Devotionals. Since I am such a visual person, especially while reading, I had an idea of taking my visual thoughts and putting them down in doodle format. After doing that for the past three months and posting them on my personal Facebook page I decided I needed to expand to a blog. So here it is. Typically I will have a short verbal response to go with my doodle. Today, since it’s so late and my brain is fried from just trying to get this blog up and running, I’m just going to say, God bless!! 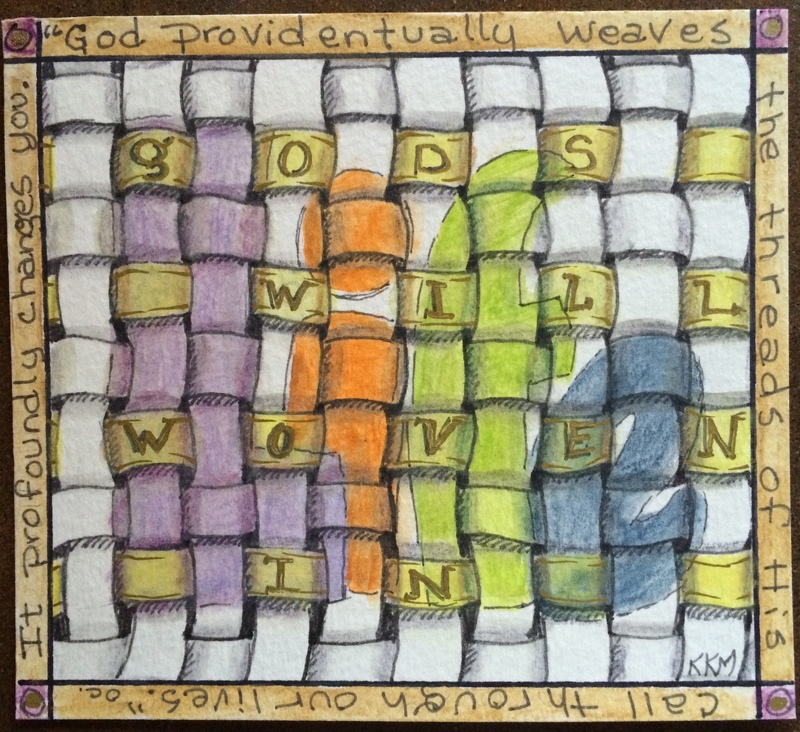 May you see God’s will/call weaving it’s way through your life this year!